The PD1500 is a smaller version of the PD2000. Use the PD1500 to Press Caps or Closures onto smaller containers at high speeds. 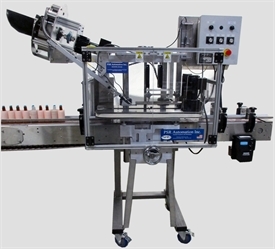 This machine works well on containers such as vials, tubes, or small bottles. The Patented High Speed Sorter can supply up to 200 CPM, depending on closure.